Hi everyone, this is Aylin from Posh Nail Art. I cannot believe a year has passed and I’m preparing a Christmas post again. Time surely flies. Christmas is approaching and if you are like me, you have already started planning for the big night! 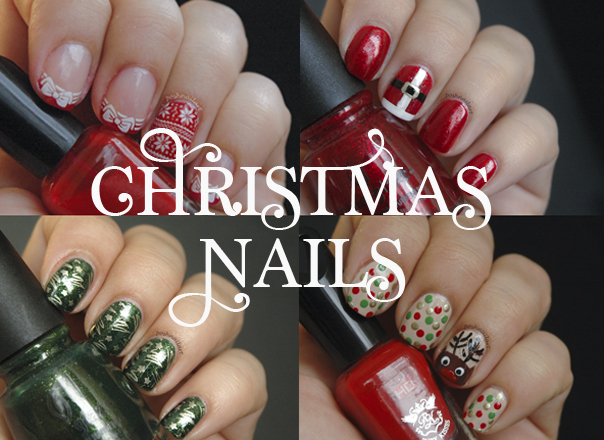 I have prepared 4 different nail art ideas for you to wear on Christmas. Let’s check them out one by one, shall we? 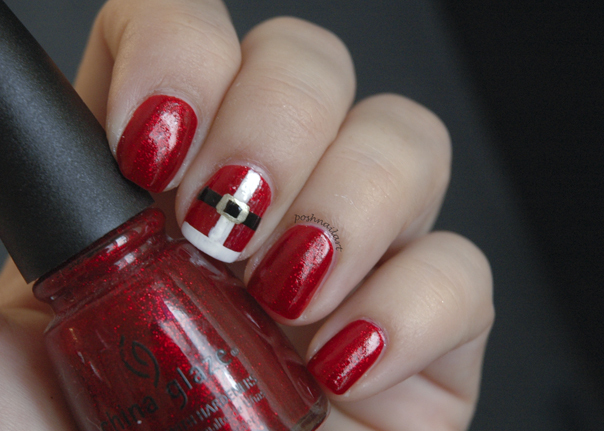 When you think of Christmas nails, you have to think about red at the same time. And when you think about red and Christmas together , one thing comes to mind; Santa! 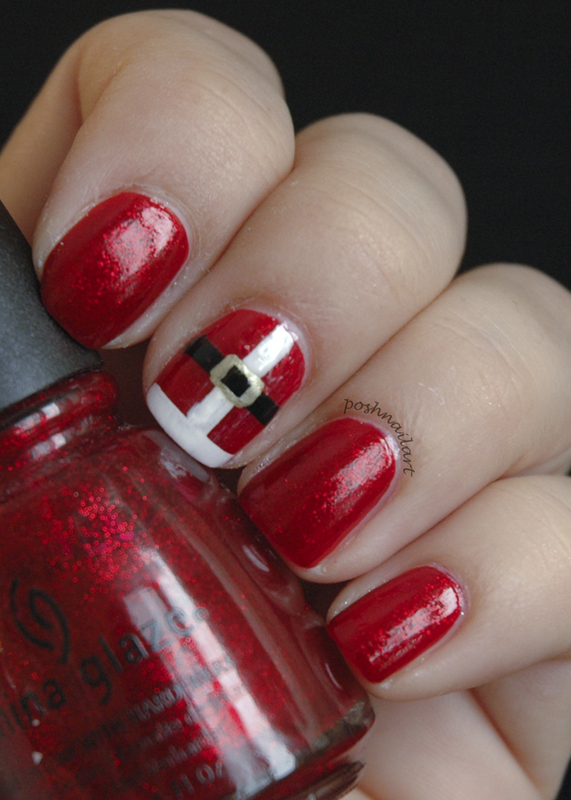 So my first manicure is a simple Santa Belly! I have two coats of my favorite glitter red over a red creme. Then with a white polish and some tape, I made the white lines of the Santa suit. Added another black line and with the thinnest nail art brush, made the belt buckle with gold polish. Top coat it and you’re done! 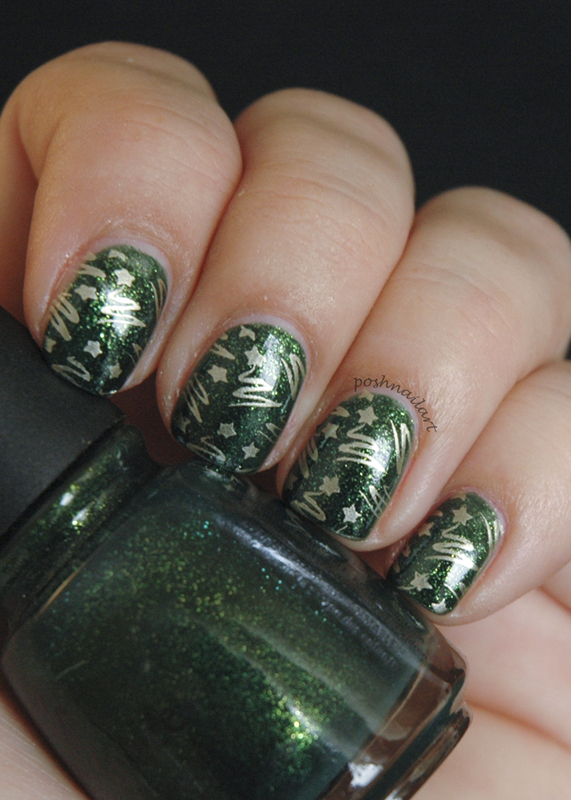 I did the second design using a glittery Christmas Tree green. I stamped the tiny Christmas tree images with gold polish and top coated it all to give it a shiny finish. For my third design, I drew Rudolph, freehand. It is not as terrifying as it sounds. 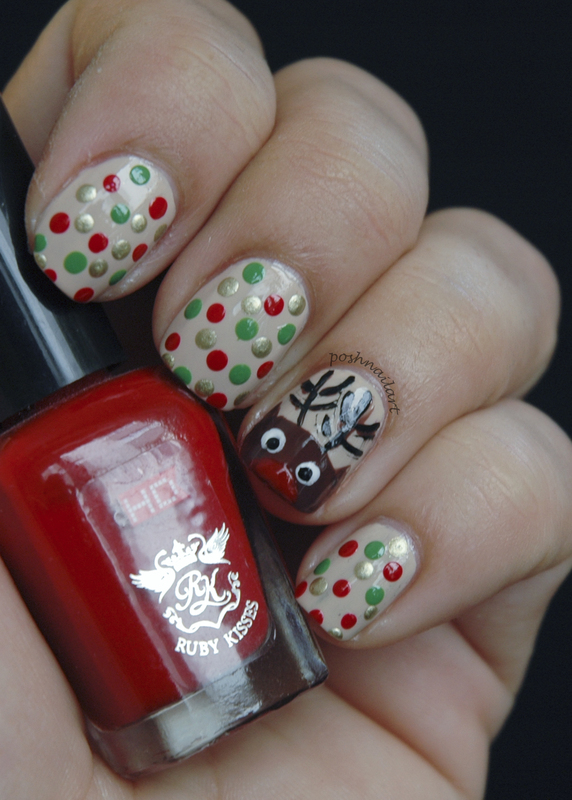 You just make a wide brown french tip and add the nose and eyes with dotting tools. With a thin brush I drew the antler. 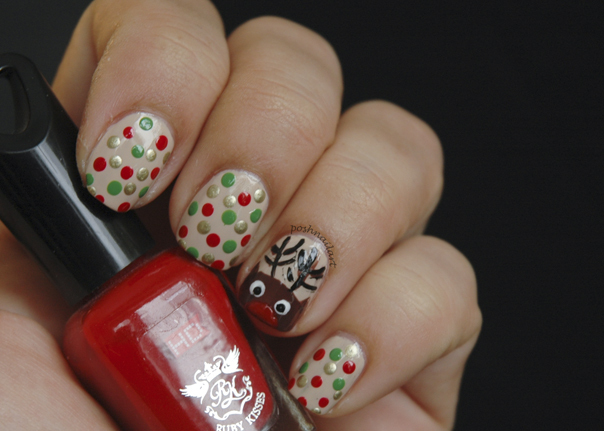 For the remaining nails, I placed scattered gold, green and red dots over a creme colored base. Top coat it and done! Last, but not least, I made a negative space mani. 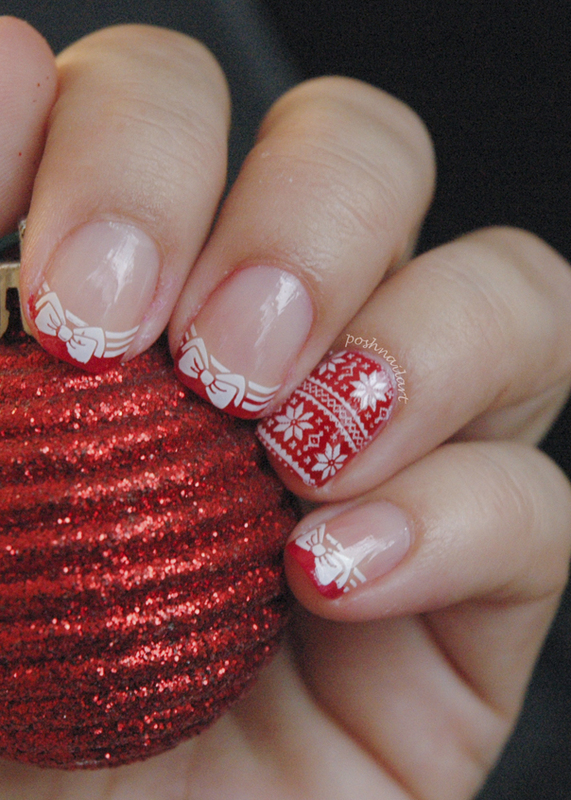 I started by painting my ring finger with red polish and then using a white polish, I stamped the Christmas sweater image. 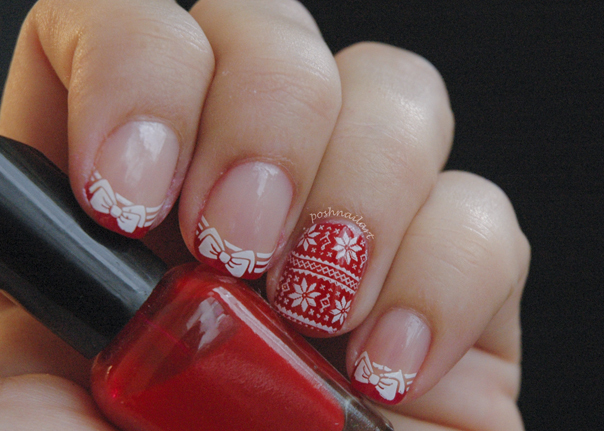 For the rest of my nails, I made red French tips and stamped the white bows over them on bare nails. 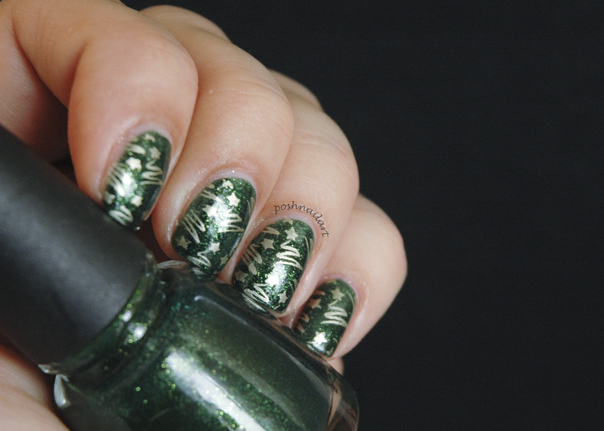 This is why this is called a negative space mani. It was really hard to pick these designs because I had tons of ideas. 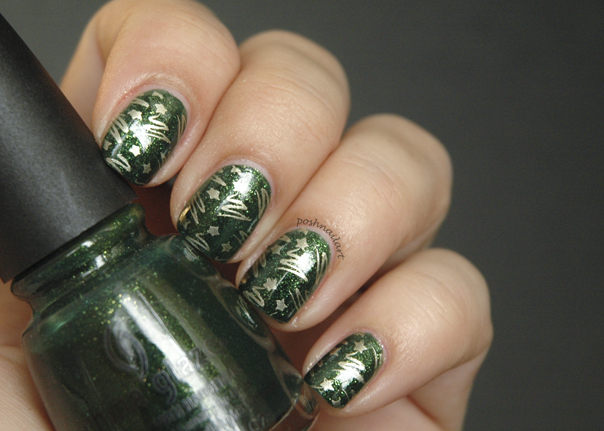 For more ideas please visit Posh Nail Art blog. Happy Holidays!